L'ORÉAL, the world's no. 1 global cosmetics company and its subsidiaries recruits many young talents every year in their Existiing Teams. The Internships are a real professional training that jumpstarts the career of the Final year Undergraduate Students. 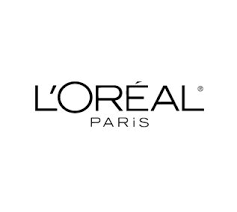 L’OREAL provides a golden chance to acquire substantial initial work experience in one of their expertise: Research, Operations, Finance, Information Systems, Marketing, Sales, Communications, Digital, and Human Resources. Management Trainee Program: Around 650 young graduates join L’Oréal’s management trainee programme every year. Duration is 6 to 18 months. Candidates will have to undertake several missions that will enable them to discover their business and various fields of expertise. Global Opportunity Program: Global Opportunity Programme is the best early boost the candidate can give their young international career. BrandStorm: A Breakthrough innovation: Each year, teams of undergraduates with their creativity propose a brand strategy for one of L'Oréal’s 28 international brands along with the latest developments and trends in the market. Candidates who are young, dynamic, enthusiastic and ambitious can apply. Best-in-class hands-on training is offered to the candidates, it is your passport to a successful career with L’OREAL. It prepares future leaders to develop their potential and enhance their intercultural skills. Candidates can apply for a job online by searching at careers.loreal.com for the jobs they are interested in. While filling in the Application Form candidates are required to share their skills, training and professional experience. Candidates also have to upload their Latest CV for further perusal. Pre Selection: All the applications received, they are scrutinized by the local recruiters. Pre-assessment focuses on the combination of the background, skills and professional experience and, if qualified, may lead to a first individual interview. Decision: The various people who have met you will meet to take a decision.